Piper is styling a new scarf I knit. All other outfit choices...well, let's just say I had nothing to do with those. She is so adorable! My little rainbow, keeps me smiling! 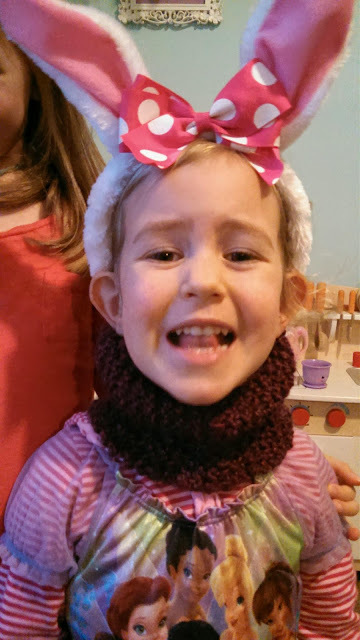 Love the scarf, she will be warm in that. When you tried it on her when I was there I just remember her sweet little face lighting up and she looked so pleased. And now this look expresses pure joy!